Building on proven technology, the Safe-Trak 19-28 is a higher capacity and heavy-duty version of the Safe-Trak 16-23, of the provides unrivaled stability on such applications as railway embankments and cuttings. 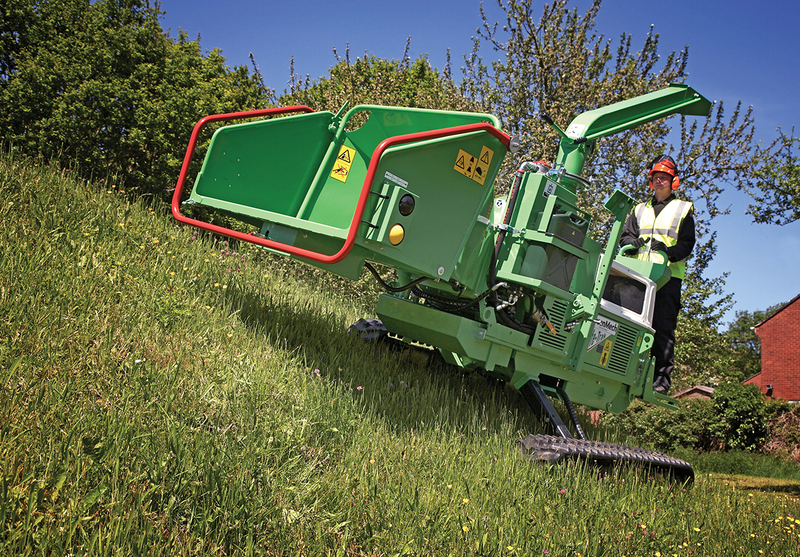 A massive 550mm ground clearance means that large obstacles such as tree-stumps can be straddled and, each track can be independently adjusted to provide safe travel across slopes of up to 35 degrees. The main advantage of having such flexibility is to take the machine to the maintenance point instead of having to bring material out by hand – a major time/cost benefit. This unit is powered by a 48hp Kubota diesel engine and has bags of power to take the largest of wood profile.